As part of the United Kingdom’s Centenary Commemoration of the First World War, Nutkhut is planning to present a programme of performances and installations about the experiences of convalescing soldiers of the pre-Partition Indian Army in and around the City of Brighton, the Royal Pavilion and the South Downs during the summer of 2016. The contribution made by South Asian soldiers to the war in Europe is a forgotten history. Dr Blighty will mark their experiences through live performance based on written and aural sources and video mapping incorporating archive film and contemporary footage of the landscapes of home. 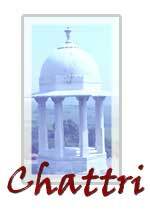 Dr Blighty will culminate in a large-scale outdoor event at the Chattri on the South Downs. Over four days during the Brighton Festival 2016, Nutkhut will recreate a pervasive memory of events 100 years before, based on the experiences and reflections of Indian Army soldiers and Brighton residents. or +44 (0) 20 8301 8417.